"Lapel" is a pretty sophisticated word and it refers to the two flaps that are on each side of the jacket of a suit right below the collar that is folded back on either side of the front opening. You may have not paid much attention to this ubiquitous part of a suit, but the way it looks truly conveys a bunch of different messages, and you cannot buy a suit before deciding on the proper lapel. There are three main types of suit lapels: notched, peaked and shawl. Each of these lapels come in different widths, ranging from super slim, around 2.25 inches, to super wide, around 5 inches. A normal lapel will be between 3 and 3.5 inches. Before really getting into things, let's get this nuisance out of the way since we know it was bothering you just a bit: Yes, Americans call it a "peaked" lapel. But our British cousins call it a "peak" lapel, and you know you always wanted that British edge without having to master the accent. We have given it to you at The Peak Lapel. It can be your niche or nitch or neesh. Perhaps you can even tell your friends about this cool new blog named The Peak Lapel, and then proceed to politely brag about your knowledge of "Peaked" v. "Peak". It's impressive stuff. As you may know, a "notch" is a V-shaped indentation, and this style lapel is called "notched" because you can see a sideways "V" shape (like ">" and "<") where the lapel meets the jacket collar. The notched lapel is by far the most common lapel found on suits. This lapel is traditional and classic. It is super versatile and fits perfectly with both a casual dress look and a more professional look. Like a solid white shirt, this lapel is always a safe choice. You won't stand out with this lapel. The notch should align with the width of the lapel — a slim lapel should have a small notch, while a wider lapel can have a larger notch. 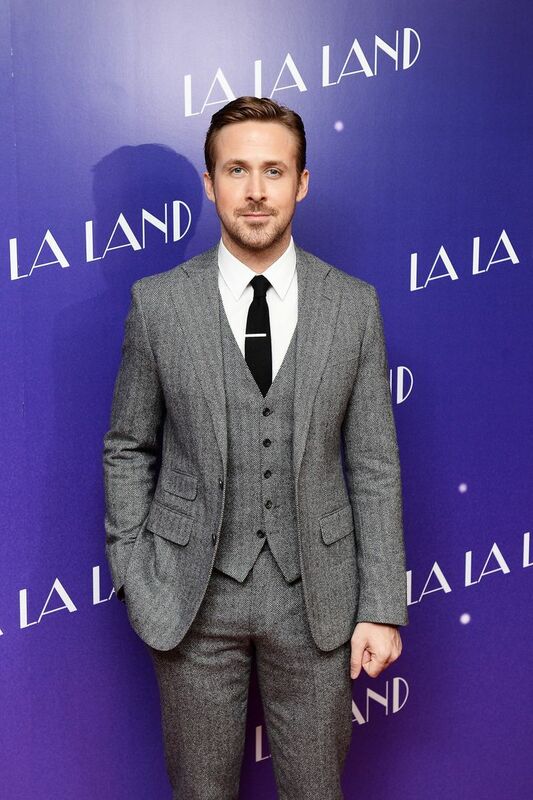 A notched lapel looks best on a single breasted suit. If you are going with a double breasted suit, then stick to the peaked lapel. Don't go beyond 4.25 inches with a notched lapel, unless you've got a really large chest. If you want to play around with the width, then either go super slim, which will make you look trendy, or go 3.5-4.25 inches, which looks classier. Example of a poorly cut/designed peak lapel. The angle and sizing of the "peak" just looks wrong. A peak(ed) lapel looks fantastic on both a single breasted and double breasted suit. Cutting a proper peak(ed) lapel, though, is a very difficult task (hence, very often an increased cost), so make sure that the lapel looks right before you buy the suit. Often the angle of the "peak," or the proportions can look off. While a nice peak(ed) lapel makes a suit look super sharp and classy, an oddly shaped, angled, or sized one can ruin the way a suit frames your body and face. A peak(ed) lapel is also the lapel of choice for shorter gentlemen and larger gentlemen, since the lapel has the effect of making you look taller, and looking taller has the effect of making you look slimmer. It's a positive chain effect. 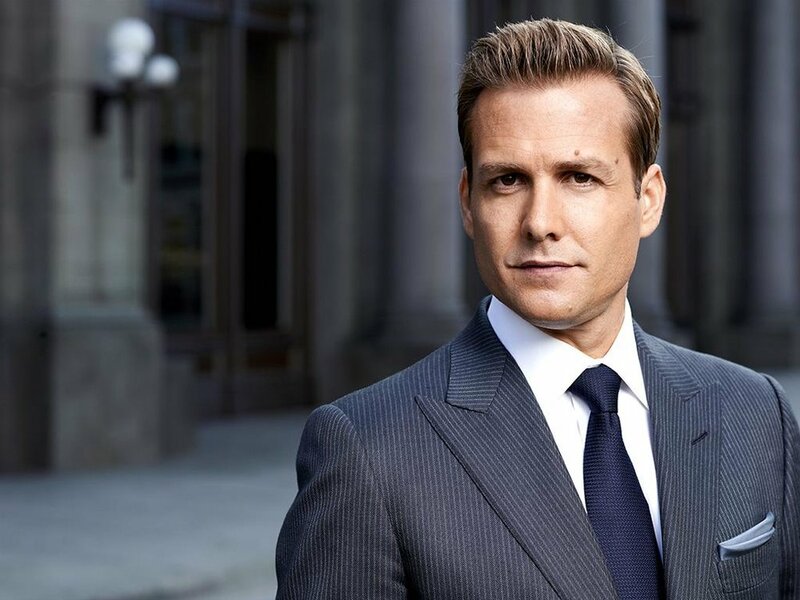 A great example of beautiful peak lapel suits can be seen worn by Harvey Specter every week on Suits. He's a powerful lawyer, and the wide peak lapels on his TOM FORD suits convey his unique rank and stature. You pretty much only see this lapel on a tuxedo, so I wont' spend much time on this. This lapel has no notch nor peak. It's all lapel with a rounded edge. Although I personally only like the thin shawl lapel, there's really no hard-and-fast rule in terms of width on this one. You can stick to the general idea that a skinnier lapel will look more trendy, and a wider lapel more classy. 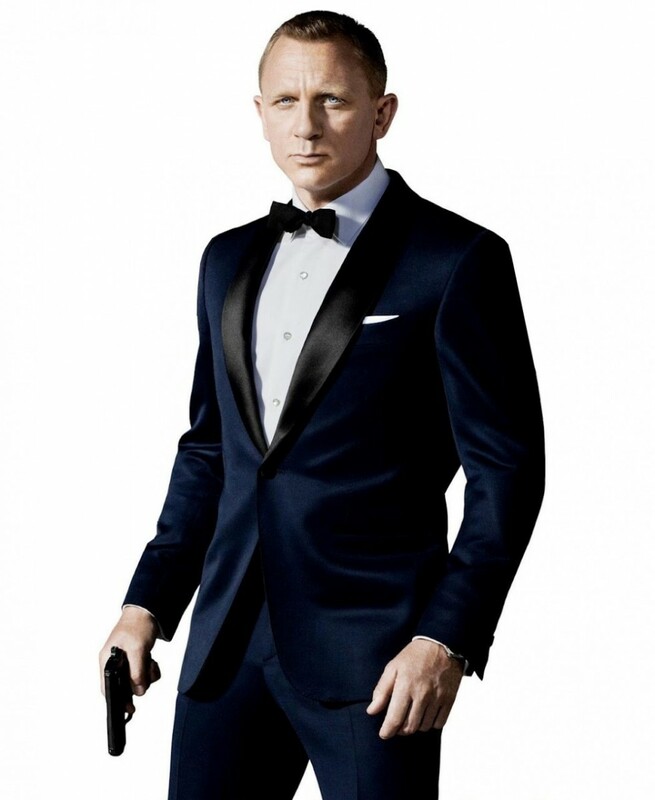 A great example of a gorgeous shawl collar jacket is the blue velvet tuxedo worn by James Bond in Skyfall.